This section is dedicated to the latest box mods and tube mods on the market. If you are looking for a cut price mod that is maybe a little older then head to our hardware clearance section as there maybe a little gem on offer for you. Aspire Speeder 200w Box Mod The all new, all po.. 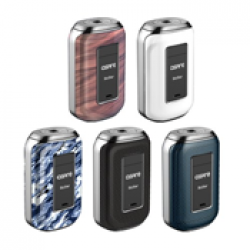 Aspire Typhon 100 Mod The Aspire Typhon 100 is .. Aspire Archon 150w Box Mod FINAL CLEARANCE PRIC.. Aspire Feedlink Squonk Mod FINAL DISCOUNTS APPL.. Aspire NX30 Mod The perfect stealth mod is perf.. Aspire Zelos Mod The Aspire Zelos 50w..